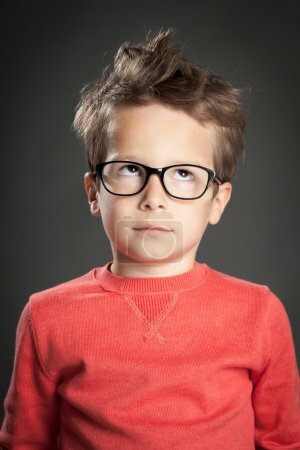 Five year old boy in glasses rolling eyes. Studio shot portrait over gray background. Fashionable little boy.